Thought I'd better get a second post up before the end of January. The girls are back at school, all's quiet around the house. 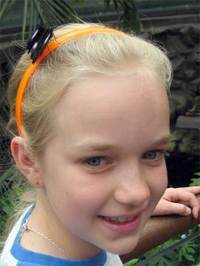 Emily has started at her new high school, is happy and excited about everything going on there. Phoebe has her new class already, and is pretty happy with that too. Holidays were lovely and relaxing... I do love school holidays. Here's a few photos and ramblings from the things that we did during the holidays. We took Phoebe out to the Athletics Stadium out at Homebush to participate in the Little Diva Dash organised by Athletics NSW. 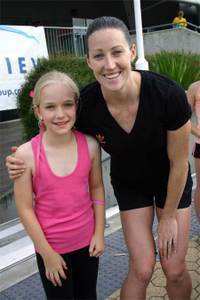 She got to meet Jana Rawlinson and run a 400m 'fun-run' around the athletics track. 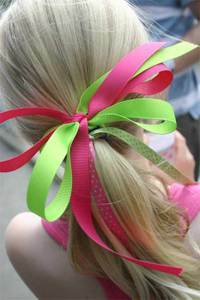 In true diva-style, Phoebe adorned her hair with Ribbons Galore ribbons! 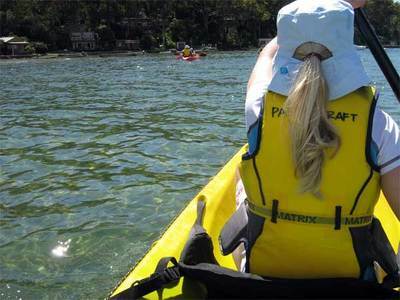 We went kayaking last weekend on Pittwater. 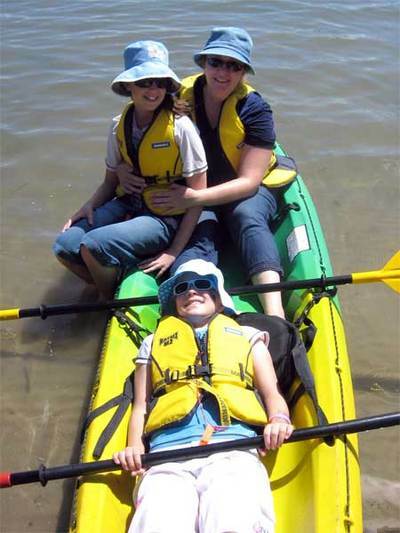 We hired a couple of kayaks form Paddlecraft at Bayview, and paddled our way around to Church Point, enjoyed our coffees/milkshakes and bacon and egg rolls from the cafe there, then paddled back to Bayview. It was a beautiful morning and lots of fun. We gave Emily a new bead for her bracelet the night before she started back to school. A little drum for the drummer girl of our family. It is very cute, the drum is silver with little gold drum sticks on the top. This one is a Pandora bead, but it still fits on her Bacio bracelet. I took Phoebe to the Sydney Wildlife World at Darling Harbour one day. It's a great centre, the displays and exhibitions are informative and it is different from the zoo, so you do get a different experience. 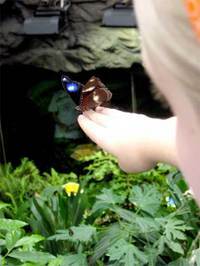 At the end of the centre you have the opportunity to walk through the butterfly display, which Phoebe loved. We stood for a long time as the butterflies fluttered around us. They loved her headband, as they were always landing on it. (We also discovered a Lindt Cafe at Cockle Bay Wharf, so guess where we went for afternoon tea). 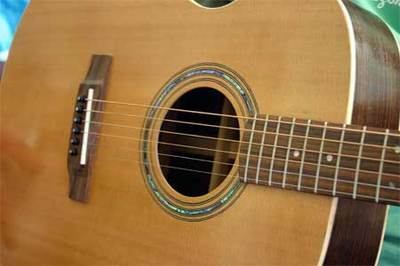 One of Paul's friends has been making a guitar... from scratch... and he doesn't even play the guitar. He brought it over for Paul to "inspect". 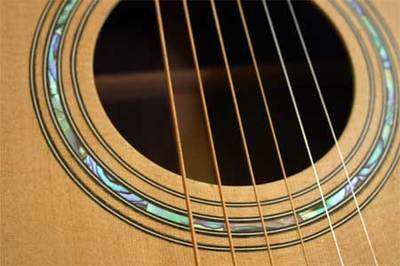 It was so beautifully made, with such lovely detail. You just had to admire it and all the work that went into making it. And lastly, this is to show Mel, my very clever friend who also loves sewing and Japanese craft books. Phoebe and I had a day out in the city, and one of our stops was a huge Japanese book shop, Kinokuniya, in Galeries Victoria. 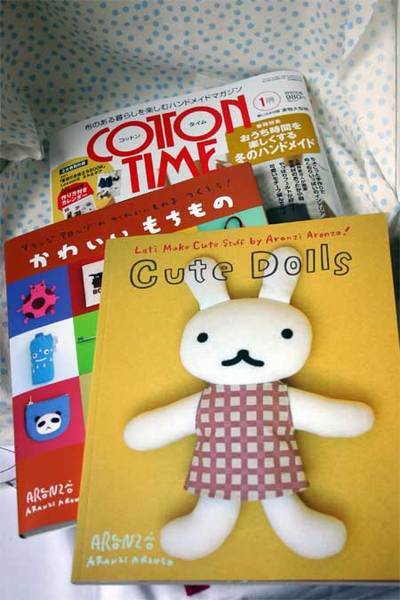 I picked up the latest Cotton Time which was great as previously I had navigated my way through the Japanese Amazon site to purchase my Japanese books. Phoebe and I also picked out a couple other cute books. The good news is they get the magazines in about a week after the release date in Japan, so I can send Paul off in his lunchtime to pick up my books. And there are a couple of other magazines I like (all in Japanese) and I can just give them the codes from the magazines and they can get them in for me too. Now I just have to finish off my CHA projects so I can start work on some of these very cute things. That's about all, back to a little more scrapping. Thanks for visiting. I'll be back to more regular blog updates from now. We're in the middle of summer holidays here. A couple of days after Christmas we headed up the coast to Hawks Nest. We stayed until after new years, which was very different for us. I usually love being in Sydney for the Sydney fireworks, but this year we decided to have a very quite, relaxing break away. It was just so nice. 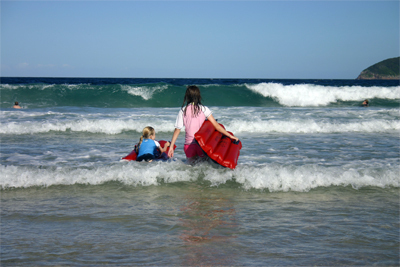 Bennetts Beach was closed for a day or so during out stay due to the rough seas along the NSW coast. 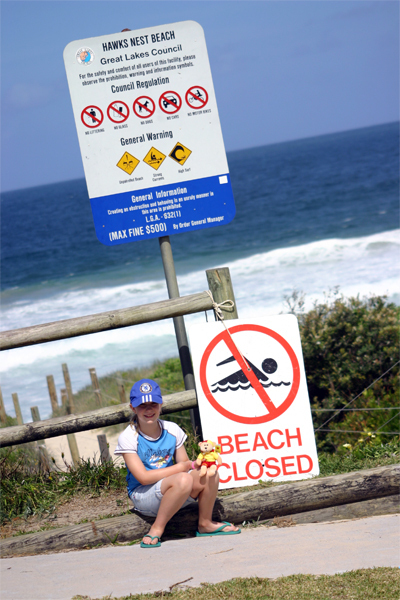 Here's Phoebe with her newest Beanie Kid, Ky the surf life saving bear, checking out the surf conditions. Little Bubbles and Butterscotch enjoyed their holiday too, they loved hopping around the garden up at Hawks. They travel well in their little pet travel case, and we keep a travel hutch up at Hawks for them to stay in while we are there. Back in Sydney, and the girls and I have seen a few movies. Enchanted was good (especially as a Greys Anatomy fan) and we've seen the Water Horse which was a beautiful story and and movie. There's been many plays with friends, shopping, etc, etc. Not much to report otherwise. I'm being kept busy with some projects for Maya Road with CHA coming up in February. I've been enjoying my sewing a lot lately. I made Hootie the other night. He's already flown from our nest to another, but we enjoyed having him around the house for a few days before he joined another family. The pattern is by Melly and Me (MO23). 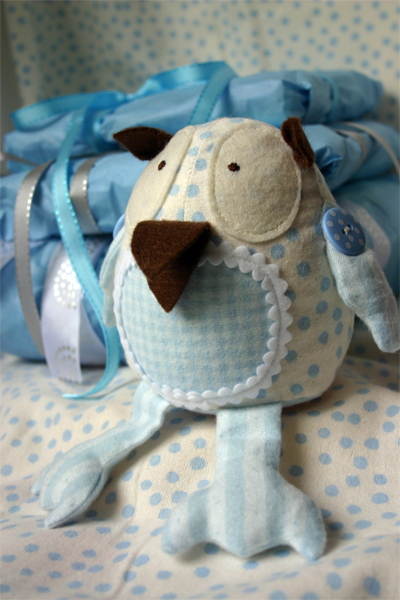 There are two versions included in the pattern, Hooty and Tweet (with longer legs). I found the fabric for my Hootie up at Tea Gardens. There's a shop called Black Possum Gallery which I discovered and made several secret trips to purchase some lovely fabrics. The fabrics used for my Hootie are gorgeous coordinating soft flanelette quilting fabrics (unfortunately I don't know the brand). Just perfect for a little baby!